I’m excited to share my second grant program for volunteer fire departments, this time in my home state of California. I’m offering $50,000 in grants to provide safety equipment for the small volunteer departments throughout the state. Having seen my share of fires in California, some of them visible from my house, I’m always in awe of the bravery and commitment our firefighters make to save lives and property. This is my way to say thank you. For more on Jenny’s Heroes California, click here. I saw the flower and ran back in to get my camera. 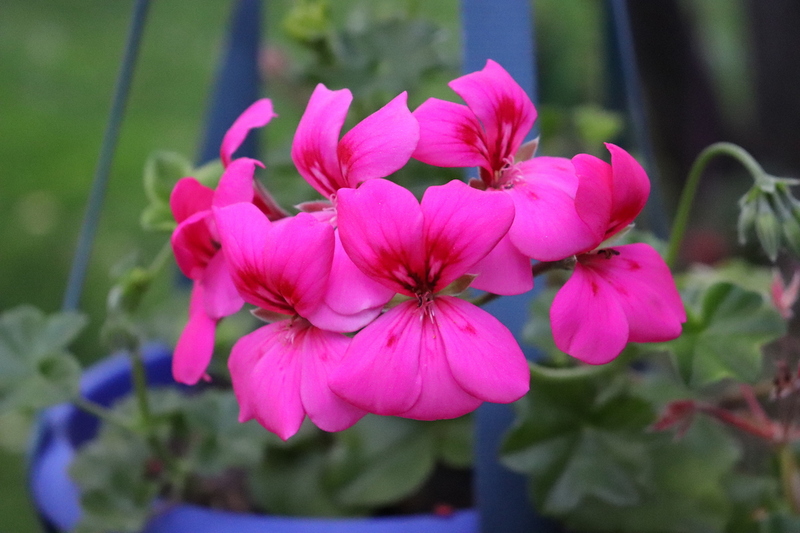 It’s just a geranium in a hanging blue pot but in the magic lighting that happens at dusk, it looked pretty exotic to me.